Buy Petunia 'Easy Wave Mixed' 40 plus 20 FREE large plug plants: Naturally trailing tough plants. 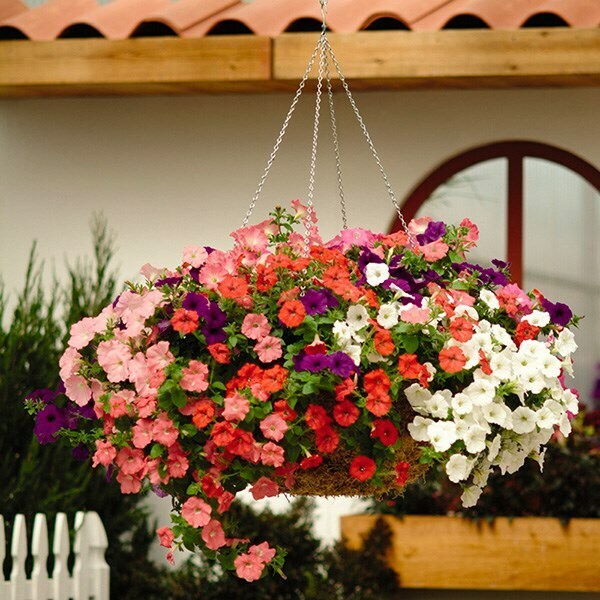 Easy to grow petunias are perfect for creating a dazzling display all through the summer. Naturally trailing these tough plants will happily grow in sun or partial shade and if you dead head regularly the blooms will keep on coming. 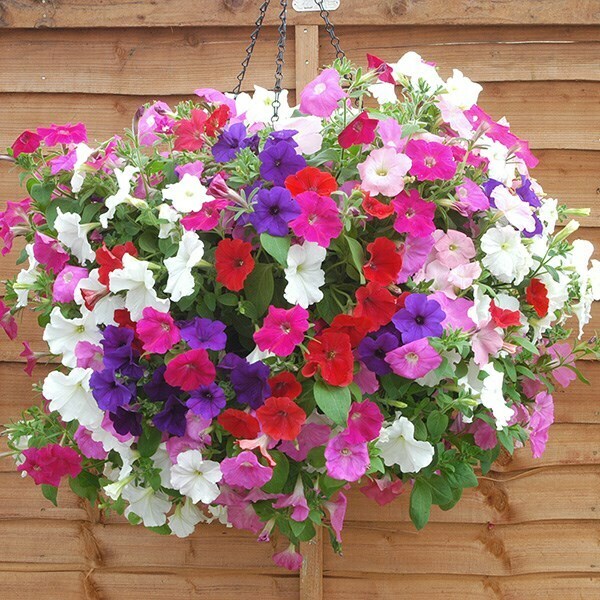 Cram them into pots, window boxes, and hanging baskets to have a festival of colour. Grown in individual plug cells, each plant measures about 5 - 7cm tall (from the base of the root to the top of the plant). They are ideal for keen gardeners who have a greenhouse where the plants can be grown on until they are ready for planting out in the garden once all chance of frost has passed. Please note that as we grow these for especially for you, we need to take full payment when you place your order so as to reserve stock for you. See above for despatch dates for this particular plant. To ensure that your plants arrive in the best possible condition each pack will be despatched individually. After the last frost date, plant up containers with tender flowering bedding and reliable foliage plants. Line terracotta pots with polythene, taking care not to cover the planting holes, to reduce water loss through the porous sides of the pot.